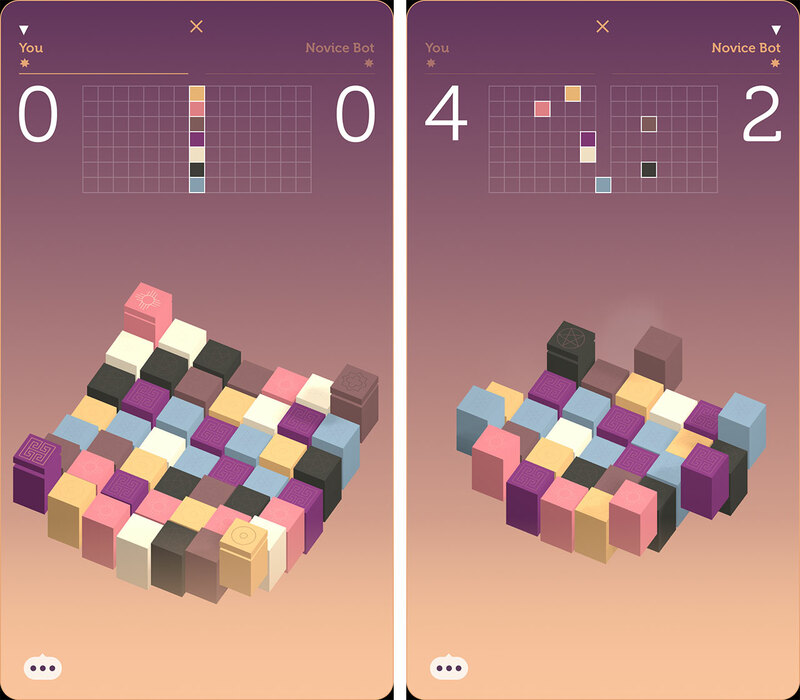 Sevn is an easy to grasp puzzle game that’s all about capturing seven blocks of the same colour. The game has a fascination with the number seven, hence the name. There are seven colours at play, and the main way to win is to get seven blocks of the same colour on your side of the scoreboard. The game board starts as a seven by seven grid. Players can shrink the board by dropping tiles off of it. It’s only possible to interact with tiles that have two exposed edges, so on the first turn you can only tap on the corner blocks. To add a bit more depth, players can tap on multiple exposed tiles per turn if they share the same colour. The game’s scoreboard moves on a slider-like mechanic, as opposed to a one-piece equals one point idea. Therefore, if I was to tap two yellow pieces in my turn and no one touched yellow yet, I’d receive two points. If in the next turn my opponent touches a yellow tile then I’d lose one point, but they wouldn’t gain a point. 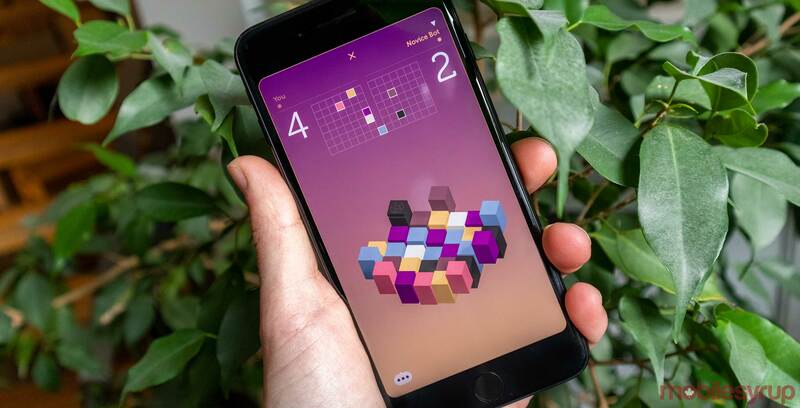 The game ends when either player collects all seven tiles of one colour, or all of the game’s tiles are gone. If the game ends with all of the tiles being played then the player with the most points at the end wins. There are two ways to play the game. You can play local single player against an AI opponent, or you can partake in online, local or Bluetooth multiplayer. These games play out in the same way, but they are against real people which makes them a lot more fun. You can download Sven for free on iOS for iPad and iPhone.